Traveling to France? This is the correct spot on the internet to find locations to swim in France. Every day you might be not swimming you happen to be losing precious time to boost your skills a be a better swimmer! No more excuses!. 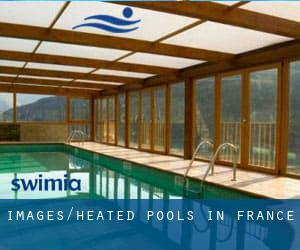 Thanks to some new Heated Pools in France submitted each day, Swimia.com is increasing daily the number of stored pools. Please do not hesitate to contact us should you uncover any inaccurate or incomplete facts. Not all countries are the exact same, and swimming regulations and rules are changing from one country to an additional. Looking for Pools? Several of them belong to gyms or sport centers which also offer lessons. Are you on holiday and wish to hold fit and healthy? 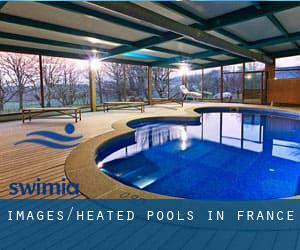 Swimia.com offers you the straightforward and quickest way to find pool near France. Please check the nearest Heated Pools in France or Contact us to ADD IT. It's free! Let us tell you a secret to switch off although you happen to be in Nantes: just opt for a Pool in Nantes and plunge into the water! There's no more effective method. Holding an estimated population of 472.317, Lyon is one of the most important cities in France. Check all of the Swimming Pool in Lyon and its surrounding region. It's difficult to visit France with no dropping by Paris (with 2.138.551 residents). Currently Swimia is showing you all of the Swimming Pool in Paris along with the closest pools located in its vicinity. Swimming is usually a outstanding idea to keep your body active throughout your visit to Marseille (France), or even if you are a local. Swimia assists you to locate your closest Pool in Marseille. Without a shadow of a doubt, swimming in Toulouse may be the most beneficial solution to unwind right after work. Take a couple of minutes to browse Swimia's catalog to find a Swimming Pool in Toulouse. Whereas Nice is among the six most populous cities in France with nearly 338.620 residents, you shouldn't miss that one if you're going to France. Updated on 2019 Avenue du Docteur Capelle , Font Romeu Odeillo (Postal Code: 66120). Few days ago a standard user of this center told us they offer Olympic size x 15 meters, 6 lanes, Indoors. Furthermore, they keep in good conditions 25 meters x 12.5 meters, 5 lanes, Indoors. Contact info for this Pool such as phone number and email address are number. Updated on 2019 Avenue Ambroise Thomas , Hyeres (Postal Code: 83400). This sports center offers 25 meters x 12.5 meters, 5 lanes, Indoors. For this Swimming Pool, only phone number is number here. Updated on 2019 16 rue des Mésanges , Quartier de la Ronde Couture , Charleville Mezieres (Postal Code: 08000). This sports center offers 25 meters, Indoor/Outdoor. For this Swimming Pool, only phone number is number here. Updated on 2019 31, rue du Commandant Mouchotte , Saint Mande (Postal Code: 94160). Among all the activities offered by the center, if you're interested in swimming you are going to get pleasure from 25 meters x 12.5 meters, 5 lanes, 1.8 meters - 3.5 meters depth, 1.8 meters - 3.5 meters depth, Indoors. Just in case you want to contact this Pool before dropping by, we only know the phone number. Updated on 2019 Place Daniel Rops , Aix les Bains (Postal Code: 73100). Few days ago a standard user of this center told us they offer Olympic size, 8 lanes, Indoor/Outdoor. Furthermore, they keep in good conditions 25 meters x 12.5 meters, 5 lanes, Indoors. For this Pool, only phone number is number here. Updated on 2019 Stade Pierre Rey , Saint Jean de Maurienne . Swimmers like you reported 25 meters x 10 meters, Indoors. Unfortunately we do not have the e-mail address of this Swimming Pool, but we can provide you with the phone number. Updated on 2019 8 place du Docteur Lazare Goujon , Villeurbanne (Postal Code: 69100). This sports center offers 20 meters x 9 meters, Indoors. For this Swimming Pool, only phone number is number here. Updated on 2019 102 Rue A. Charrial , 3rd Arrondissement , Lyon (Postal Code: 69003). Among all the activities offered by the center, if you're interested in swimming you are going to get pleasure from 25 meters x 12.5 meters, 5 lanes, Indoors. Just in case you want to contact this Pool before dropping by, we only know the phone number. Updated on 2019 Avenue Pierre Corneille , La Celle Saint Cloud (Postal Code: 78170). Swimmers like you reported 25 meters x 10 meters, 4 lanes, Indoors. Unfortunately we do not have the email address of this Pool, but we can give you the phone number. Updated on 2019 Avenue des Aulnaies , Gournay en Bray (Postal Code: 76220). Swimmers like you reported 25 meters x 10 meters, 4 lanes, Indoors. Unfortunately we do not have the email address of this Swimming Pool, but we can provide you with the phone number. Updated on 2019 Rue Robaresses , Andresy (Postal Code: 78570). Swimmers like you reported 25 meters x 12.5 meters, 5 lanes, Indoor/Outdoor. Unfortunately we do not have the email address of this Swimming Pool, but we can give you the phone number. Updated on 2019 272, Avenue de Grammont , Centre Ville , Tours (Postal Code: 37200). Swimmers like you have reported Olympic size, 8 lanes, 1.8 meters - 2 meters depth, 1.8 meters - 2 meters depth, Outdoors. Also, you will find 25 meters, 4 lanes, 1 meters - 1.4 meters depth, 1 meters - 1.4 meters depth, Indoors. If you need to contact this Pool, email address and phone number are both number. Updated on 2019 rue Louis Braille , Meaux (Postal Code: 77100). Among all of the activities provided by the center, if you're considering swimming you will appreciate 25 meters x 10 meters, 4 lanes, Indoors. Just in case you would like to contact this Swimming Pool before dropping by, we only know the phone number. Updated on 2019 72 avenue Gilbert-Berger , Tremblay en France . Among all the activities supplied by the center, if you are interested in swimming you will appreciate 25 meters x 8 meters, 4 lanes, Indoors. Just in case you would like to contact this Swimming Pool before dropping by, we only know the phone number. Updated on 2019 125 Rue Tronchet , 6th Arrondissement , Lyon (Postal Code: 69006). Swimmers like you reported 25 meters x 12.5 meters, 5 lanes, Indoors. Unfortunately we do not have the email address of this Swimming Pool, but we can give you the phone number.